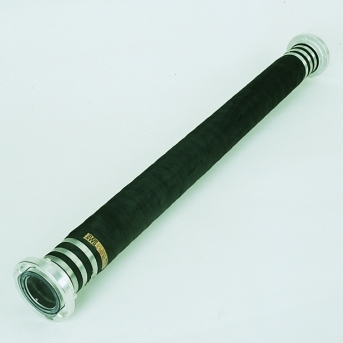 The suction hoses DIN EN ISO 14 557, Type A, are smooth inside, black ribbed outside, SBR-Quality (Styrol-Butadien-Caoutchouc) without external spiral. Couplings attached in both spiral free ends. Ozone resistance acc. to ISO 7326 : 1991.